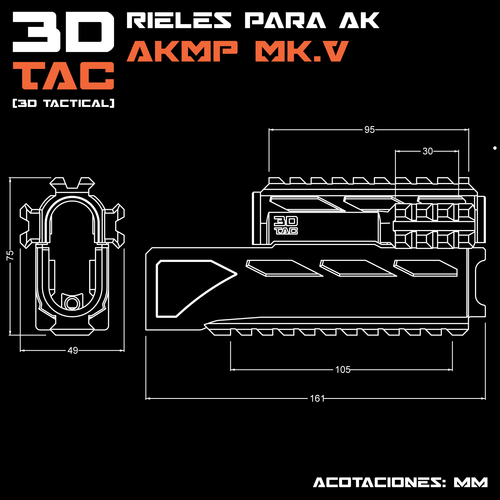 Complete modular package of AK styled airsoft rifles. 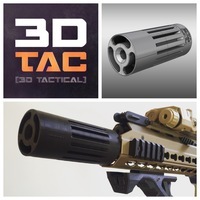 - Accurately measured and designed parts. 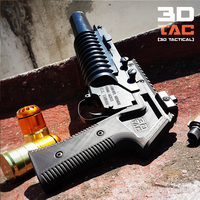 - Tested in actual airsoft games. 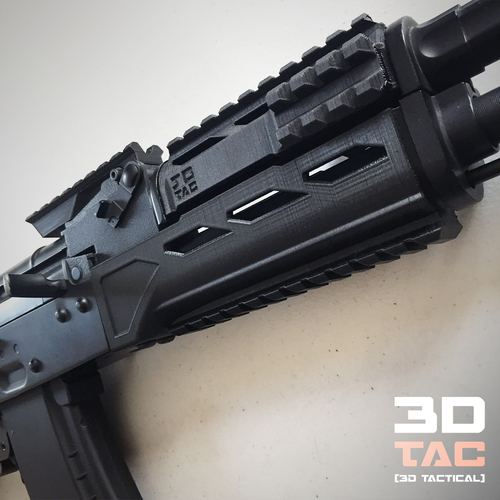 - Modular design lets you add only the parts you need. - Super lightweight and strong structural design. 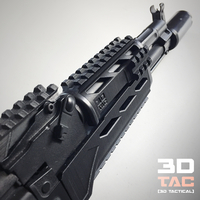 - Lower handguard with rail mounting holes. 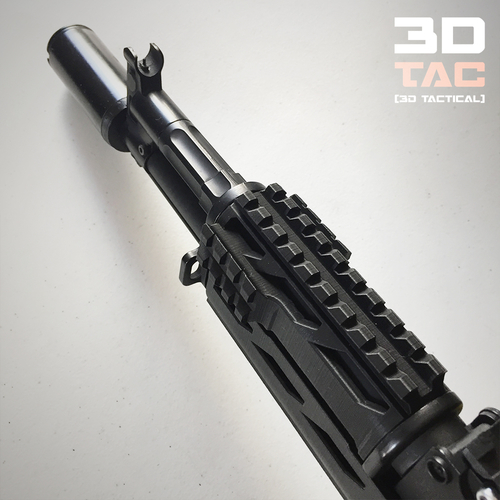 - Upper handguard with sight channel and rails. - Sight rail mount. 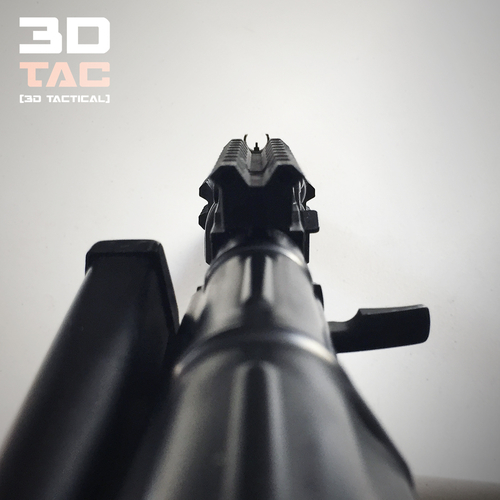 All parts are detachable and interchangeable, add or remove rails, use a simple rail or the drop-down picatinny version, its all customizable to fit your gameplay! 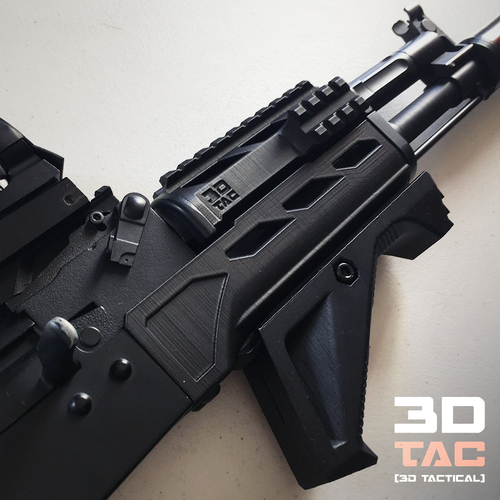 Small modifications to the printed parts may be needed (sanding, filling) to fitt all brands of AK rifles. Assembly instructions coming soon! Stay tuned! DO NOT USE WITH REAL STEEL FIREARMS. 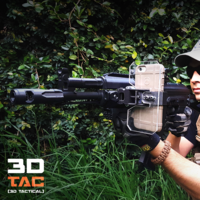 This is an accessory designed entirely for Airsoft and Paintball shooting. I take no responsibility for any harm taken or done should this design be miss-used on other activities outside its designed purposes.